Fred S. Stone was a relatively prolific composer of ragtime music. Stone was born in Chatham, Ontario, nine years before Geoffrey O’Hara.. The fact of his Canadian birth is not well known since the (relatively few) references to him in the ragtime literature is as an “African-American” composer. The remarkable Stone inherited the musical leadership of Detroit from the equally remarkable “Old Man” Theo Finney. The latter had started a music business in the Michigan city during the Civil War, and from that beginning had built up a formidable musical dynasty. Finney’s – and then Stone’s – orchestras monopolized the Detroit Entertainment and social world to the almost complete exclusion of white performers. Fred S. Stone and his stalwart colleagues . . . unionized the Detroit musicians and built the fine headquarters and club that are still in use. It was the white players who had to petition for admission to the union, apparently the only local in the country where this was the case. Note: Ragtime music: the jaunty, toe-tapping music that captivated American society from the 1890s through World War I, forms the roots of America s popular musical expression. But the understanding of ragtime and its era has been clouded by a history of murky impressions, half-truths, and inventive fictions. 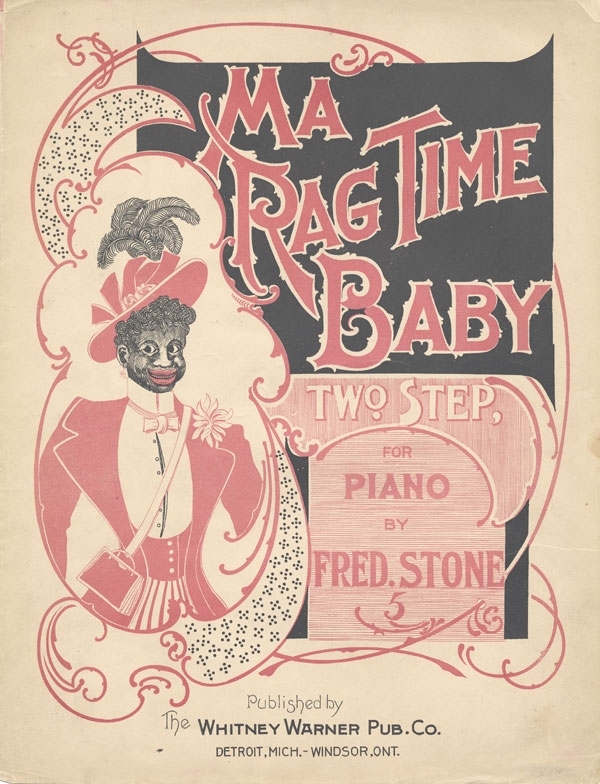 First use of the word Ragtime appears in the song title “Ma Ragtime Baby” by Fred Stone in 1893. Fred S. Stone was a cross-border phenomenon in the music world, famous in both Detroit and Canada. In fact, in spite of his dominance in music circles in early 20th century Detroit, Stone was actually born in Chatham, Ontario, making him Canadian by birth, and technically not African-American. He owed a lot of his early success to violinist Theodore Finney, sometimes referred to as “Old Man” Finney. Mr. Finney had done fairly well as an orchestra leader in the latter part of the 19th century in Detroit, and one of his star players was W. “Jack” Johnson, a cornetist. Johnson himself had been in the Detroit City Band with Finney, then spent some time touring the south in the late 1880s with the Georgia Minstrels. When he returned, he started the Johnson Cornet Band which provided a training ground for many young black musicians in Detroit, including Stone who had come across the border by the mid 1890s with his brothers. 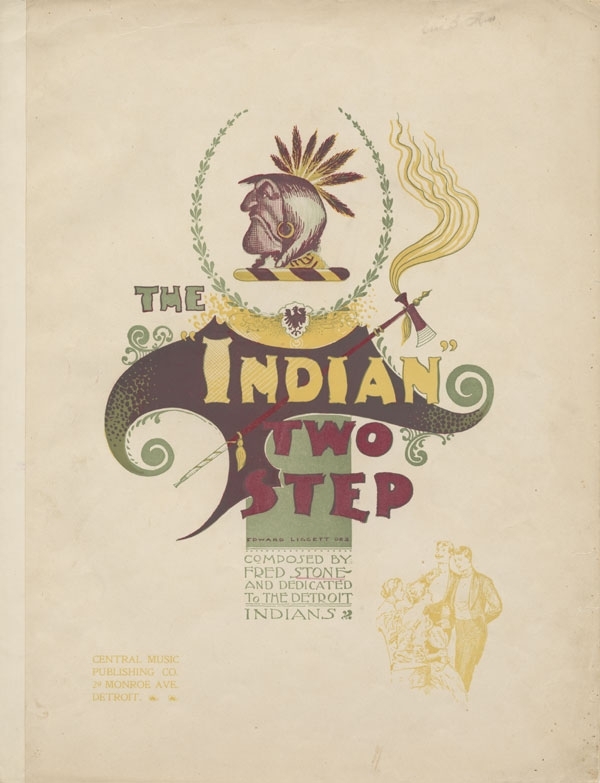 Fred started composing pieces for publication in 1895, mostly dance numbers, but hit it big in 1898 with Ma Ragtime Baby, further increasing sales when his brother Charles added words for a song version. The following year he made a splash with Bos’n Rag. Between this and his considerable musicianship he quickly gained the respect of musicians throughout Detroit. In Stone’s capacity as an arranger and leader in Finney’s orchestra, the group became one of the earliest in the country to play ragtime. The old man did not favor this newer music, and whenever they played in some of the downtown establishments where ragtime was popular, he usually chose to not participate. Finney died in 1899, and very soon Stone took the group over by some acclaim from the members. He then hired a replacement for Finney, violinist Jack Shook. While the two co-conducted the orchestra mutually for some time, eventually they ended up in court deciding who would be able to use the well-established Finney name for the groups each of them ended up leading, with Shook finally taking the prize. Stone continued to lead his own groups, and recorded several pieces of ragtime and other genres for some of the earliest popular records. A few his own compositions were also recorded by other groups, including the Edison Concert Band who did Belle of the Philippines. 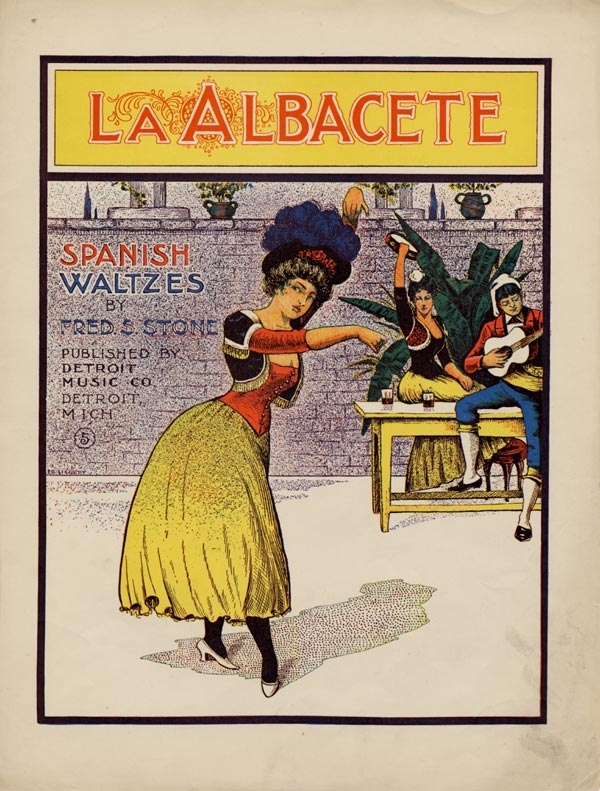 During this period he also turned out a number pieces that were as intriguing and varietal as that of one of his Detroit counterparts, Harry P. Guy, including a lovely set of waltzes titled Silks and Rags, and a lively almost-rag title, Belinda. He was so busy with the union and playing engagements that little was composed or published after that time, perhaps only existing as band arrangements. Stone died in 1912 at approximately 39-years-old, although the cause of death and a concrete determination of the date have been hard to pin down. His contributions to ragtime performance and music in general in what would become the city of “Motown” were significant, and even may have prompted Harry Guy’s comment that “you might almost say that Ragtime was born in Detroit.” Not quite, but it did thrive there for some time. Fred S. Stone – 1893 – Ma Rag Time Baby ~ Performed by the Peerless Orchestra.